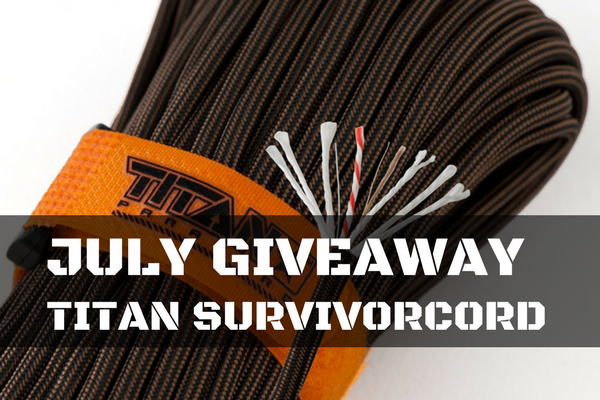 For July we are giving away TITAN SurvivorCord! We will send you fifty feet of TITAN SurvivorCord and a few TruePrepper stickers if you are the lucky winner! SurvivorCord is only made by TITAN and is like traditional military grade 550 paracord, but a few individual strands on the inside make it much more versatile. Fishing line, snare wire, and waxed jute for tinder are all a part of this paracord.